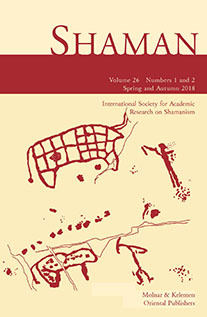 In this article (based on field research conducted in the Republic of Altay between 1994 and 2008), I argue that the way in which the Telengit shamans are situated among other religious specialists in the Altay, makes them ambivalent and unlikely leaders of ritual efforts centered on communal identity and community protection. Although Telengit shamans are obviously well-integrated members of local and descent groups, their activities are mainly directed towards individual protection and healing. Community matters are a prerogative of other religious specialists, known under the generic term biler ulus (knowledgeable people). Moreover, particular characteristics of the Telengit shamans make them reluctant to practice with each other and therefore to get involved with Western shamans visiting present-day Siberia. This situation in Altay contrasts with other parts of Siberia (e.g. Tuva, Sakha, Buryatia or Khakassia), where associations of shamans have been organized, members of which meet, sometimes practicing in the same place and at times participating in common rituals. They also travel internationally and receive Western shamans as guests in their lands. In the Altay, it was not shamans, but other religious specialists (the biler ulus), who were mostly involved in the creation of religious associations. People called kam (shaman) are rarely (if ever) openly involved in public life. They also avoid communal activities and only exceptionally agree to conduct communal rituals. It is important to stress that my argument does not concern the question of authenticity. The paper presents the explorer and researcher of Siberia, Maria A. Czaplicka, and her studies on shamanism throughout her short career (as they appear in her academic texts, travelogue, photographs and museum collection). Her pre-fieldwork study, Aboriginal Siberia, reflected the discourse of the time: ethnocentric and medicalized, which she enriched with a relativistic perspective. In her own ethnography she disposed of the ‘pathologizing’ of shamanism and presented it as a regular magico-religious phenomenon. In the paper Czaplicka’s concepts and research are based on the historical and theoretical context of the time, and are assessed in terms of contemporary theory. Despite many years of Soviet rule in Central Asia, traditional medical beliefs and practices were not eradicated and their revival has been noticeable in the independent republics of Kazakhstan and Kyrgyzstan. Religious and magical healing, including shamanism, are important parts of this renewed tradition. This article, based on extensive fieldwork conducted in Almaty, Kazakhstan, and its vicinity between 1996 and 2000, and in Bishkek, the capital of Kyrgyzstan, between 2011 and 2013, examines the revival of healing, including shamanism. It focuses on the way of a shaman and of other spiritual healers, the process of recognizing the call of spirits and gaining skills and power, peculiarities of their spiritual development and its social conditions. Additionally, I present this kind of healing in the context of complementary medicine in Kazakhstan and Kyrgyzstan, which, generally, has achieved a strong position in these countries. I discuss complex factors that influence its popularity and official recognition, as well as observable fluctuations in the attitude of the authorities to non-biomedical methods of treatment. On the basis of my analysis I conclude that tradition plays a crucial role in the revival of spiritual healing. The Felicitas D. Goodman Institute: Neo-shamanism or Religious Ecstatic Trance? While the work of the late Felicitas Goodman and the Institute she founded in 1978 is frequently associated with neo-shamanism, the members and activities of this Institute are more accurately described as conducting research in religious ecstatic trance induced by sensory overstimulation while holding ancient ritual body postures to facilitate specific experiences such as healing or sky-journeys and the like. A brief review of the ASC experiences of Joseph of Cupertino and Faustyna Kowalska help to construct an appropriate context for appreciating religious ecstatic trance. This article is based on new research which was undertaken by a Polish Yakut team in the Yakutia (Sakha Republic) between 2001 and 2003. 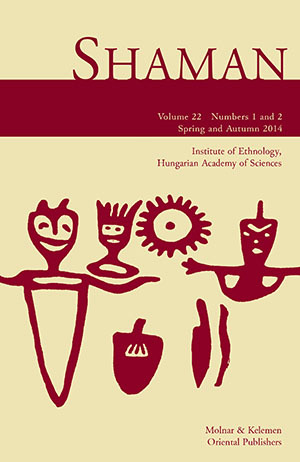 Accepting that shamanism is an archaic cultural practice of the Sakha people, and that it is also present in the wider territory of Siberia, it is assumed that some common topics of Siberian shamanism can provide a semantic context for elucidating the social or semantic meanings of rock art in the territory of the Sakha Republic. After a general characterization of rock art in Yakutia, the paper analyzes the possible shamanic overtones of some rock images from southern parts of the country, mainly along the middle Lena River basin, and in the northern territory, on the cliffs of the Olenëk River. Attention is also paid to the contemporary veneration of sites with rock art, where ritual offerings are still practiced. The article presents an analysis of the features of shamanism in the research of Marie Antoinette Czaplicka, including her hypothesis on the origins of arctic hysteria. During her research, Czaplicka concentrated at first on Russian, Polish and other non-English works of ethnographers from Eastern Europe not previously known by English language scholars. She presented a complete picture of the shaman, starting from the shaman’s vocation, the basic equipment, the classification of shamans and then described an important factor, ‘woman’s nature,’ that is necessary to be a perfect medium between the worlds of spirits and humans. The second part of this article is related to arctic hysteria, which is, according to Czaplicka, strongly connected to Siberian shamans. Arctic hysteria was treated by European and American scholars as a kind of nervosa, but for the inhabitants of Siberia it was simply the result of contacts with nasty or benevolent spirits and a kind of possession. Czaplicka noticed that usually women are more endangered by the attack of hysteria, because of their natural sensibility. The hypothesis and classifications of Czaplicka were important for Anglophone scholars, who had no previous opportunities to get this information on shamanism, because of their lack of knowledge of Slavonic languages. Shamanic actions are believed (by ‘natives’) to be manifestations of the supranatural, in the same way that shamanism is often defined (by scholars). Are any such supranatural occurrences present (or constructed) in contemporary shamanic activities? How are they perceived by the viewers, and how do academics, including myself, react when confronted with supposed proofs of the reality of spirits? The cases presented here come from the Tukha reindeer-breeders of the Mongolian taiga, from the Siberian North (Sakha-Yakutia), and from Seoul, Korea.